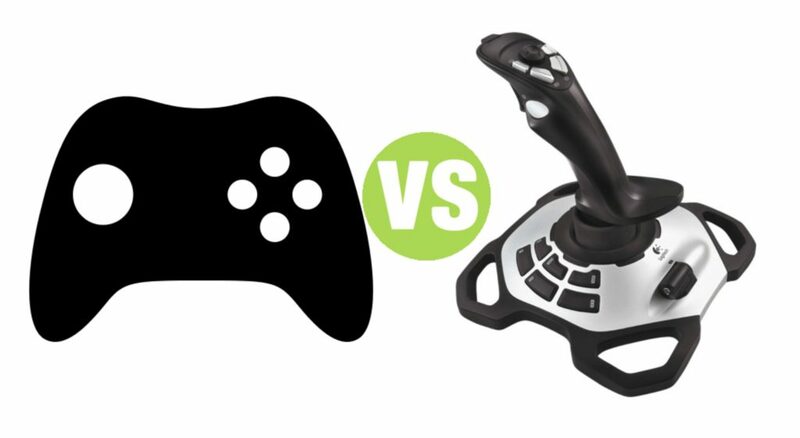 Summary: Difference Between Game Controller and Joystick is that video games and computer games use a game controller as the input device that directs movements and actions of on-screen objects. While joystick is a handheld vertical lever mounted on a base. You move the lever in different directions and press buttons to control the actions of the simulated vehicle or player. Video games and computer games use a game controller as the input device that directs movements and actions of on-screen objects. Game controllers include gamepads, joysticks and wheels, light guns, dance pads, and a variety of motion-sensing controllers. For example dance pad is a game controller. Dance pad is a flat electronic device divided into panels that users press with their feet in response to instructions from a music video game. These games test the user’s ability to step on the correct panel at the correct time, following a pattern that is synchronized with the rhythm or beat of a song. Dance pads communicate with a game console or a personal computer via wired or wireless technology.